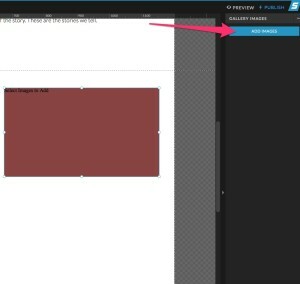 To add a gallery to a canvas on your site select the canvas where you want your new gallery to appear and then hover over the square icon at the bottom center of the designer and choose Gallery. A red box will be placed on the canvas and in the right side panel under the Gallery Images section you’ll be able to add your images from your Media Gallery. After selecting your images the red box will no longer appear red and will display the first image listed in your image list. 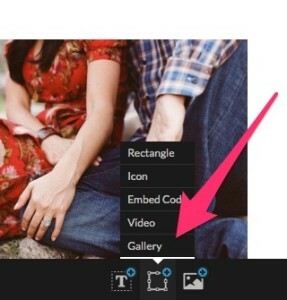 Your new gallery can be resized by grabbing any corner of the gallery and dragging it smaller or larger.